Training isn’t a one size fits all. There isn’t one simple answer to building the perfect employee training program, but there are a few things that are consistently present in all the best ones. 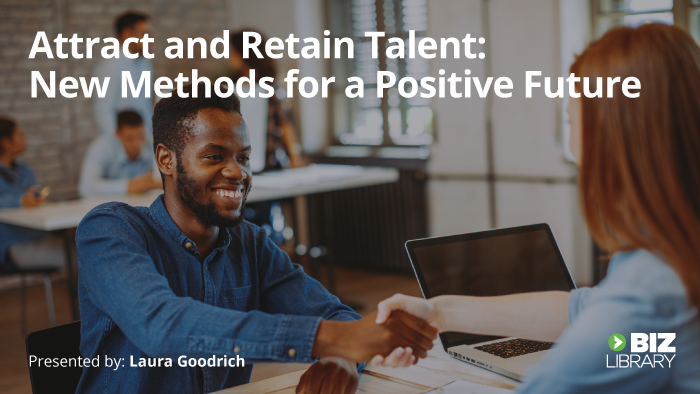 By working closely with training managers in many different companies and situations, we’ve found nine characteristics that predicate a successful training program. Read on to learn how you can build these elements into your own employee training program strategies. A high quality training program starts with a person, with a champion. We’ll call this person the program manager. In some organizations this person might be the training and development manager, learning and development specialist, or training coordinator. Regardless of job title, this person is the one who manages training. Program managers are responsible for planning and executing all training initiatives within an organization. 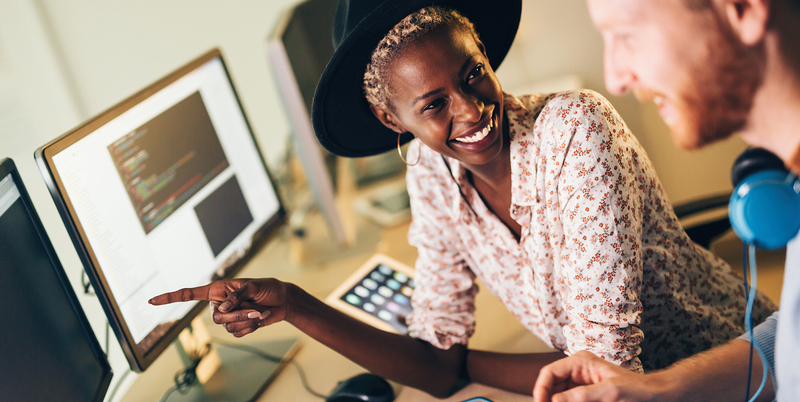 An ideal training program manager is inherently curious, open-minded, motivated, and invested in developing employees’ skills to help them reach their potential. They are committed to learning and are constantly working to improve their own skills and competencies. Additionally, this person is usually tasked with marketing the training program internally, so that employees are aware of development opportunities. Other important skills include problem solving, business acumen and leadership skills. In getting started, the program manager must be able to identify the needs of an organization. This is where curiosity comes into play – they must take time to understand the past, present and future direction. A needs assessment can be conducted through research, interviews and internal surveys. At the core of any effective training program is correctly identifying who needs to be trained, and on what skills or topics. A training need” is the gap between current performance and required performance. For example, if you find that you have unsatisfied customers, there might be a need for customer service training for your sales team. Once needs are identified, they must be aligned with organizational initiatives. The program manager should build a curriculum to address problems in the organization and support business goals. By following this model, employees will be more likely to understand the training and it will be supported by managers and leaders. The impact to the organization is the critical piece. No one wants to do something just to do it – you must have a purpose. When linking training to organizational strategy, you will be able to easily identify the above or bottom line indicators – are you saving the company money or making the company money? Training is an area that can be difficult to quantify. However, when the program manager is able to determine organizational needs that are aligned with the business, quantifying training becomes much easier. 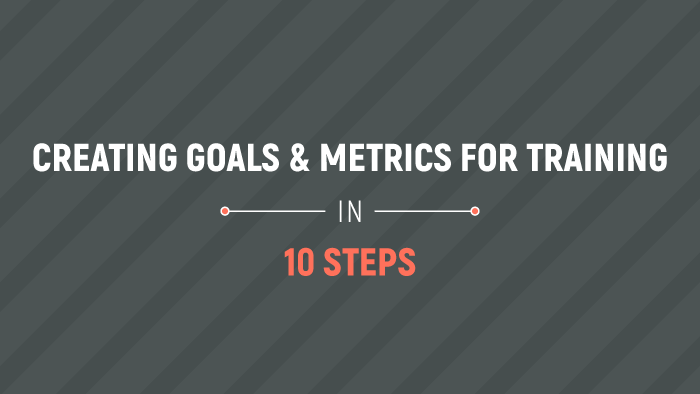 When developing goals, make sure metrics give the whole picture, including quantity, quality, time, cost and effectiveness. You’ll want to develop a benchmarking strategy for evaluating your progress towards your goals and ensure that data and reports are easily available to provide you with the information that you need. Schedule time to monitor, analyze and review progress towards goals on a regular basis. This will allow you to become agile and shift strategy as needed. One of the keys to a successful training and development program, and possibly the most important, is leadership buy-in from the top down. Having leadership support helps drive the importance of a program, assist with accountability, and establish appropriate expectations. Leadership buy-in is more easily obtained when the program manager has been able to identify the needs of the organization, align them to the business and develop formalized goals and metrics that will provide results. Senior leaders will want to know how the training program can impact the bottom line, so be prepared to talk about this when you present your ideas. 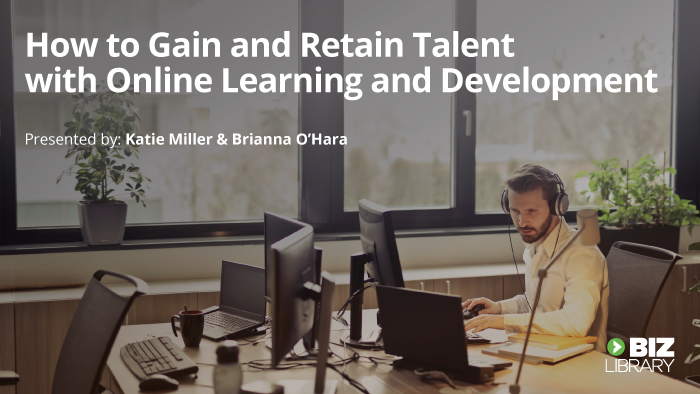 Providing relevant training content is key to a good training program, to ensure your learners are engaged and continue to come back for more. The modern learner today is distracted, overwhelmed and has little time to spare. Catering content to their needs is not only important – it’s critical. The content you present to your employees must be applicable and timely to help them with their daily duties, expand their mind, and provide them with quick takeaways that can immediately be applied. I have found over the years that programs that have some type of creative hook are viewed as more valuable to the organization. Creativity can start with a program launch that has a theme – it can be as simple as a corporate university or college layout. See how our client Watco Companies launched Watco U Online to build a customer-centric culture. Branding the training initiative with a logo or mascot can add a level of fun and familiarity as the program continues. Other creative ploys could include seasonal themes and contests. Having a marketing strategy is an integral part of your implementation and an essential component of a successful learning and development program. A successful marketing plan includes not only initial launch activities, but also strong ongoing efforts throughout the program. As you build your plan, remember to keep your program goals and success factors at the forefront of your decision-making, and tie the activities into these goals. Any communication sent out to employees should include not only an overview and clearly defined expectations, but also show an employee what’s in it for them. You must provide a “why” behind every part of training. Your goal is to use marketing tactics to increase utilization of your training program. Without being given the opportunity to remember, employees will forget nearly all training in less than a week. Training reinforcement is a series of small lessons or learning activities that support a core concept or skill. By continuing to teach what was learned at a seminar or from a video, employees will not only remember more, but they will also be more likely to apply it to their everyday work. We hope you found this article helpful and wish you the best of luck in building your program! Our dedicated Client Success team here at BizLibrary works with trainers through each of these elements to ensure they can build and maintain successful programs. 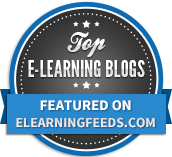 Want to learn how our online training solutions and dedicated partnership help you develop a more impactful program? Let’s talk!